The new season of TITAS Presents will feature 10 dance companies from the United States and China, four of which are making their Dallas debuts. Themed "Diverse, Captivating, and Groundbreaking," the 2018-19 season, presented at AT&T Performing Arts Center, will spotlight some of the world's most innovative, athletic, and awe-inspiring dancers touring today. The season starts with the choreographer behind NBC's recent highly acclaimed Jesus Christ Superstar Live, Camille A. Brown, making her Dallas premiere. Also fresh off TV fame is Diavolo, the acrobatic dance company that had a successful 2017 run on America's Got Talent. Another season highlight is sure to be an intimate performance by the Aspen Santa Fe Ballet, accompanied by pianist Joyce Yang, silver medalist of the 2005 Van Cliburn International Piano Competition. The choreographer of Broadway’s Once on This Island and NBC’s Jesus Christ Superstar, Camille A. Brown’s choreography is rich, textured and soulful. 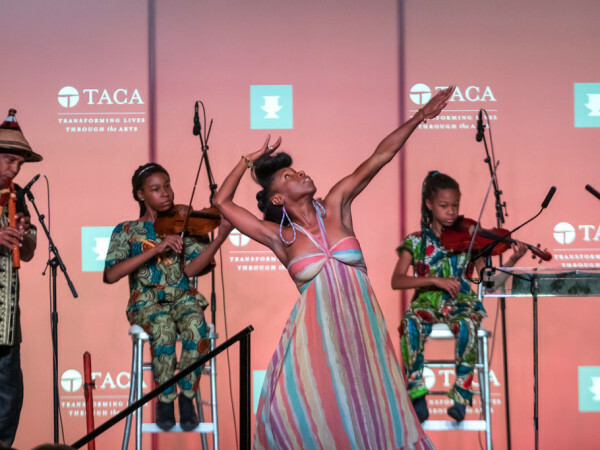 Embodying a strong sense of storytelling, the company uses theatricality and the aesthetics of modern, hip hop, African, ballet, and tap to tell stories that connect history with contemporary culture. Camille A. Brown leads her dancers through excavations of ancestral stories, both timeless and traditional. Diavalo: Architecture in Motion is an audacious and innovative company led by an equally audacious artistic director, Jacques Heim. They return to Dallas with Voyage, an evening of excerpts that demonstrate the trajectory of Diavalo. Coming off their success on America’s Got Talent, Diavalo's large interactive sets and stunning athletics are always a TITAS Presents favorite. Stephen Petronio is widely regarded as one of the leading dance-makers of his generation, as he makes music, visual arts, and fashion collide in dazzling scenes. Petronio has worked with some of the most provocative composers, visual artists, and fashion designers in the world — including Rufus Wainwright, Lou Reed, Laurie Anderson, Michael Nyman, and Cindy Sherman. With an evening that pushes visual and technical boundaries, the spellbinding choreography, and distinctive style blurs the lines between performance and art. Aspen Santa Fe Ballet’s successful collaboration with acclaimed pianist Joyce Yang spawned the development of an entire program performed to live accompaniment. This curated evening features Jiří Kylián’s poetic Return to a Strange Land (danced en pointe), Nicolo Fonte’s exhilarating Where We Left Off, and a new commission, Half/Cut/Split, by Boston Ballet’s choreographer-in-residence, Jorma Elo. The agile and diverse dancers of Complexions Contemporary Ballet remind audiences of how dance connects them with the world. Complexions comes back to Dallas with an evening of inventive, intriguing choreography, stunning dancers and Rhoden’s new hot and raw finale tribute to David Bowie, Star Dust. This bold, gender-bending extravaganza has been thrilling audiences across the globe. Beijing Dance Theater, one of China’s most distinguished dance companies, makes its Dallas debut. In 2006, Feng Xiogang invited Wang Yuanyuan to work on his film The Banquet, based on Shakespeare’s Hamlet. This inspired Wang to create a ballet telling the story of Hamlet through the eyes of the melancholy prince, who struggles with power, family, revenge and love. The work is stunningly choreographed, features brilliant sets and dancers, and is set to music written by renowned composer Tan Dun. Urban funk meets modern dance, that’s Abraham.In.Motion. MacArthur “Genius” Award recipient Kyle Abraham has forged a meteoric rise to stardom for his unique and compelling choreography. His dancers move with truth, earthiness and an elegance that is unique to Abraham’s choreographic genius. Absolutely accessible and immediately sophisticated, Abraham.In.Motion is a return engagement to Dallas. Ezralow Dance is the creative home of the surprising and inventive Daniel Ezralow. It is known for its explosive physicality, originality, and humor. 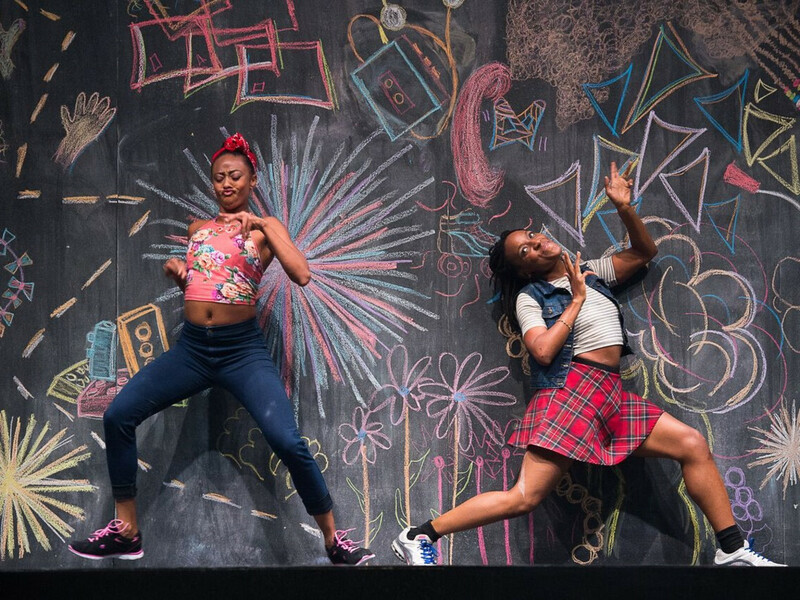 Open is a joyful series of vignettes, woven together into a narrative with hilarious physicality to uplift and inspire through the language of contemporary dance. In 2009, Pilobolus created Shadowland, the first show of its kind, which has been performed in 32 countries, for over a million people, including Dallas. Now, Pilobolus is proud to present an all new shadow adventure, Shadowland: The New Adventure. Pilobolus uses its trademark “shadow dancing” and inventive storytelling to tell a love story about two people and their quest to save a magical bird. With animation, video, and live shadow theater, this madcap adventure dips its toe into science fiction, film noir, and romantic comedy. Command Performance always delivers one of the most exciting performances of the year. Artists from leading companies light up the stage with spectacular, surprising performances. Command Performance also features TITAS Presents commissioned works created specifically for this gala performance; works by some of the world’s leading choreographers such as Twyla Tharp, Dwight Rhoden, Jessica Lang, Mia Michaels, Sonya Tayeh, Bridget L. Moore and Wang Yuanyuan. Tickets for TITAS Presents regular season performances begin at $12. Performance tickets to TITAS Presents Command Performance also begin at $12. TITAS Presents subscribers receive discounted pricing depending on the number of shows they purchase and priority seating. Currently, patrons may purchase either the full season subscription or a minimum of six titles on a flex-subscription plan. Individual tickets, should they remain available after subscription sales, will be made available at a later date. Tickets can be purchased online at www.attpac.org/titas, by phone at 214-880-0202 or in person at the AT&T Performing Arts Center information center at 2353 Flora St.